Astrological horoscopes are divided up into four quadrants. The signs of the zodiac fall within these four quadrants which are then divided into three sections. Each quadrant starts with an angular house, then has a succedent house, and finishes with a cadent house. The angular houses of a horoscope are the most powerful, with the succedent being somewhat less powerful, and the cadent houses being the least powerful. On astrology horoscopes, the first, fourth, seventh, and tenth houses are angular houses. These houses are ruled by the four cardinal signs: Aries, Cancer, Libra, and Capricorn. Collectively, these houses, like the cardinal qualities, signify action, how you deal with the present and the actions you take. The first house reflects the way that others see you. The fourth house reflects your childhood. It is the foundation of you and also delves into how you are at home, in your private life. The seventh house deals with relationships including business partners, friends, and spouses (at least your first marriage – your second marriage is ruled by the ninth house and your third marriage is ruled by the eleventh house). The tenth house is all about your career and goals in life. On astrology horoscopes, the second, fifth, eighth, and eleventh houses are succedent houses. These houses are ruled by fixed signs: Taurus, Leo, Scorpio, and Aquarius. The succedent houses are stable and fixed just as the fixed qualities are. Succedent houses are steady and happy with the resources available to you. The second house deals with money and worldly possessions. It also determines what kind of value you put on things, not just material things, but things such as your self-worth. The fifth house signifies romance and sexual relationships, but also sports, games, and creativity. The eighth house is the opposite of the second house. While the second house deals with your possessions, the eighth house deals with the possessions of others in your life. The eleventh house deals with an individual’s hopes and desires, but also friends. 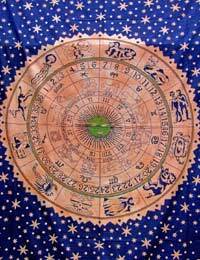 On astrology horoscopes, the third, sixth, ninth, and twelfth houses are cadent houses. These houses are ruled by mutable signs: Gemini, Virgo, Sagittarius, and Pisces. Some astrologers see the cadent houses as the thought you have before you take action as well as the breakdown of resources. The third house has to do with perception, learning, and communication. It gives insight into an individual’s communication skills and how well he or she gets along with siblings and neighbours. It also deals with short day trips. The sixth house deals primarily with how an individual performs. This can be both at his or her job or simply how he or she performs a job at home. It also deals with diet and health of an individual. The ninth house is the opposite of the third house. It deals with how well you understand the principles. The ninth house also signifies a person’s philosophies and spiritual beliefs. It also rules longer trips that require overnight stay. The twelfth house deals with the unpleasant – our problems, undisclosed enemies, and secrets that can ruin the individual. Some astrologers connect this house to incidents from past lives, i.e. karma. The angular, succedent, and cadent houses each contain four zodiac houses which deal with particular areas of an individual’s life and are used along with the signs of the zodiac, the elements, and qualities to interpret individual horoscopes.